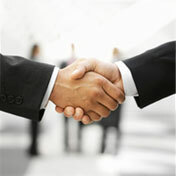 We provide customers the opportunity to find the best loan/s for their needs. We provide consistent and open communication. We provide guidance every step of the way from your initial inquiry, to your application, through to the settlement of your loan, and beyond. We fit in with your schedule. After hours is fine. We provide a free service. We have access to hundreds of loan options which allows us to find the most suitable loan for you. We have qualified, educated and highly knowledgeable staff.